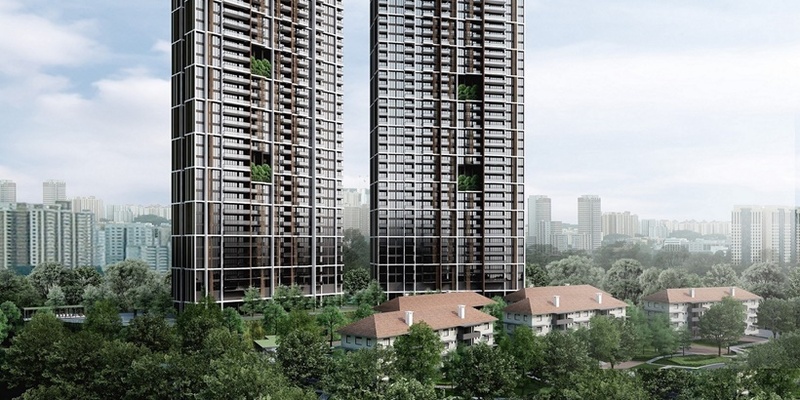 The Avenue South Residences is a new residential development comprising two 56-storey high towers with eight commercial units at ground level, and five 4-storey high conserved Singapore Improvement Trust (SIT) blocks that add distinctiveness and character. It is being developed by some of our most reputable developers, Singapore-listed UOL Group jointly with sister company Kheng Leong and United Industrial Corporation. 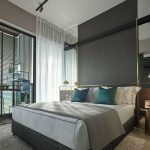 This 1074-unit project is located at the corner of Silat Avenue and Kampong Bahru Road, just behind the Spottiswoode Park neighbourhood. Beyond that is the Tanjong Pagar area, and the Central Business District is 2 km away. At 56 storeys high, South Avenue Residence will rank among Singapore’s tallest condominiums. And given its central location, many higher floor units should get panoramic views of the city skyline, and especially of the future Greater Southern Waterfront. The coast off Tanjong Pagar is currently occupied by container terminal and port activities. But that is set to change. In 2013, Singapore’s URA (Urban Redevelopment Authorities) announced plans to consolidate all port activities at Tuas. They will turn the land thus freed up off the south-west coast of Singapore into the Greater Southern Waterfront. This move will herald a significant change to the Singapore city skyline. 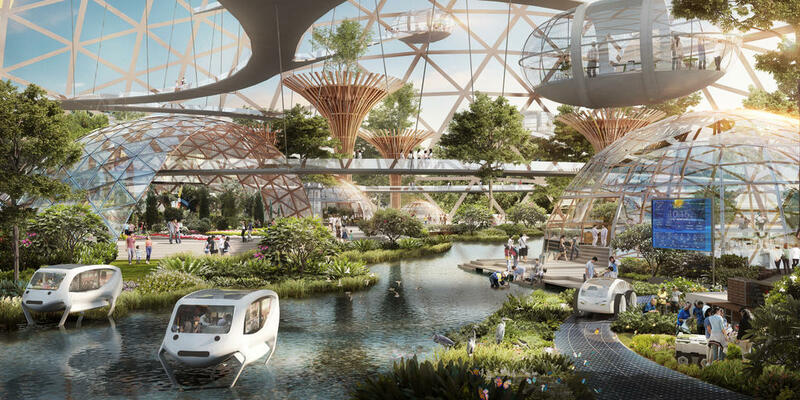 The Greater Southern Waterfront will expand the business district westwards, with highlights such as a 30 km long waterfront promenade, a reservoir that stores storm-water run-off, and a green corridor linking Gardens by the Bay to Labrador Park. Work on the move has already begun, with the first berths at Tuas Port slated to start operations by 2025. The planned relocation will free up 925 hectares of waterfront land – 3 times the size of Marina Bay – for development into the Greater Southern Waterfront district. Based on the latest 2019 URA Master Plan, this development will start within the next 5 to 10 years. Residents of Avenue South Residence will benefit from these plans. They will get views to the new waterfront and city skyline, a much nicer one than at present. 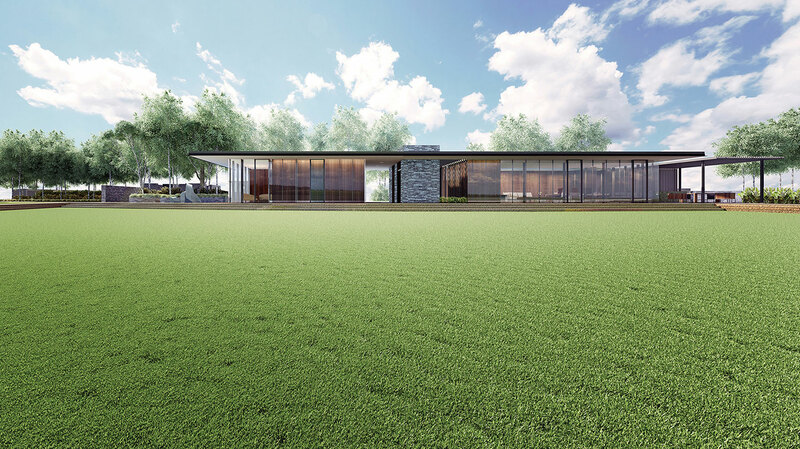 There will be more amenities, leisure destinations, and waterfront access closer to hand. And as property values in the vicinity rise in tandem with these developments, owners get to celebrate too. Our South Avenue Residences site is across from a section of the Rail Corridor along Kampong Bahru Road. The 24km long Rail Corridor is being planned as a community space and leisure corridor. It will run through several estates and recreational nodes up to the north of the island, integrating Singapore’s railway heritage with greenery along the way. The Avenue South condo, with its conservation blocks, will offer high-rise living assimilated with this greenery and heritage. Residents will get direct access to the Rail Corridor, less than 2 km away from the former Tanjong Pagar Railway Station that will be turned into a multi-functional community node. Description Private condominium development comprising two 56-storey high residential apartment blocks with 18 sky gardens and sky courts, 4 private function rooms on the 56th floor, commercial space at 1st storey and 5 conservation buildings, and one childcare centre and a public park. The Avenue South condo floor plans are pending final approval. Please drop us your contact details via the Form below if you would like the floor plans to be sent to you once ready. 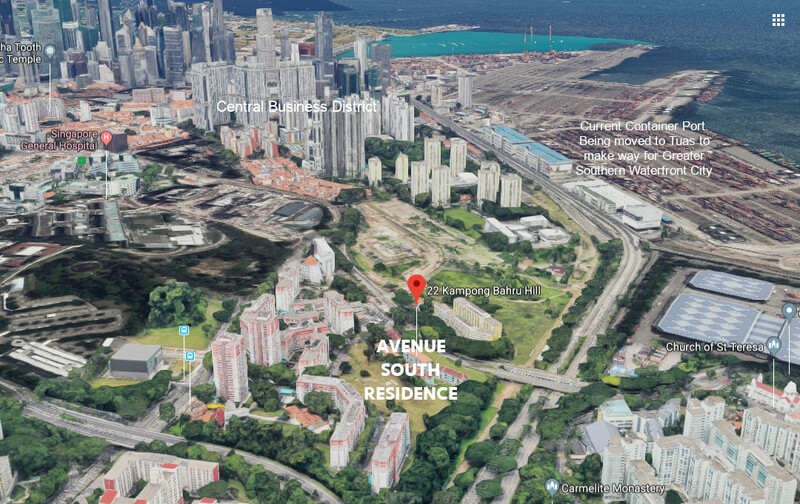 The Avenue South Singapore site is an irregular shaped parcel of land fronting Kampong Bahru Road, and bounded by Silat Avenue to its east and the Ayer-Rajah Expressway (AYE) on its south-west. With a plot ratio of 3.7, it towers over its surrounding neighbours on sites with lower plot ratios. In fact, because of the five conservation blocks having a height restriction of only 50 metres, this means that the tower blocks go even higher, up to 200 metres. The 2 residential towers are 56 storeys high, with sky terraces set into them at intervals. 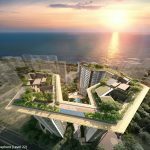 These sky terraces will provide residents with both nearer as well as further views. Views westward to Mount Faber Park and Telok Blangah Park. Views south and south-east to Sentosa and the waterfront. And views eastwards to the CBD and downtown skyline. At ground level, we have the commercial retail space. 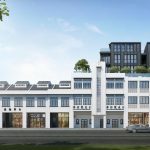 Here we have the conservation Singapore Improvement Trust (SIT) flats as well that will be transformed into unique retail shops or homes. There are many lovely examples of conserved buildings that have been refurbished delightfully, and that add colour and interest to a place. The Avenue South Residences showflat is not ready for viewing yet. Kindly drop your contact details via the Form below if you wish to be kept updated on when the Avenue South showflat is scheduled to open. The South Avenue Residence pricing has not been decided yet. Please let us know via the Contact Form if you wish to be notified on the pricing when finalised. 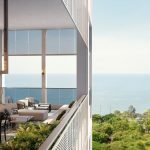 The Avenue South Residences site spans an area of 245,975 sq ft. Under the URA Master Plan, it is zoned for mixed residential and commercial use, with a 3.7 plot ratio. This works out to a permissible gross floor area of 910,106 sq ft. Hence the SGD$1.035 billion that the developer paid for this land parcel equates to a land rate of $1,138 PSF PPR (per square foot per plot ratio). This works out to a break even in the region of $1,600 PSF PPR, after factoring in all the development and construction costs, as well as financing, marketing and overhead charges. Selling price could possibly range between $1,800 t0 $2,000 PSF. This is a relatively untested location with no really similar comparison nearby, so it will have to set its own market. 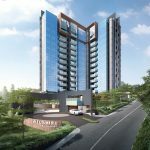 South Avenue Residence is being developed by a UOL-led joint venture company, comprising their wholly-owned subsidiary UOL Venture Investments (UVI), in collaboration with UIC Homes and Kheng Leong Company (KLC). They were jointly awarded the site on 26 April 2018, under a URA (Urban Redevelopment Authority) land sale. UVI, UIC Homes and KLC hold stakes in the ratio of 50:30:20 respectively in this joint venture company, that will be accounted as a subsidiary of UOL. 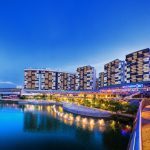 Having been established since 1963, the UOL Group is one of Singapore’s most reputable and longest established property companies. UOL is known for their commitment to design excellence and product quality. Their work has won several accolades and awards. 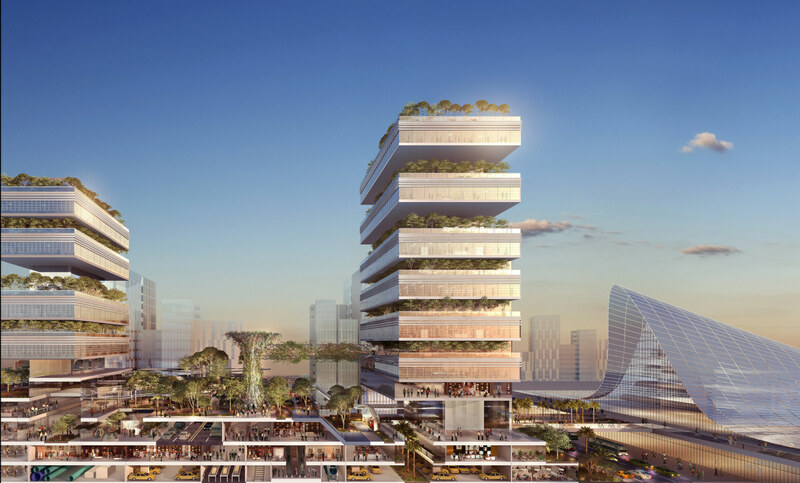 Examples include the Aga Khan Award for Architecture, the FIABCI Prix d’Excellence Award, Singapore’s President’s Design Award, Urban Land Institute Awards for Excellence, and Best Developer Awards in Singapore and South East Asia. The Group counts a varied portfolio of development and investment real estate under its belt, that range from hotels to offices, retail malls, spas, restaurants, and residential projects. In fact, UOL manages and/or owns more than 30 resorts, hotels and serviced suites in locations across North America, Asia, and Oceania. 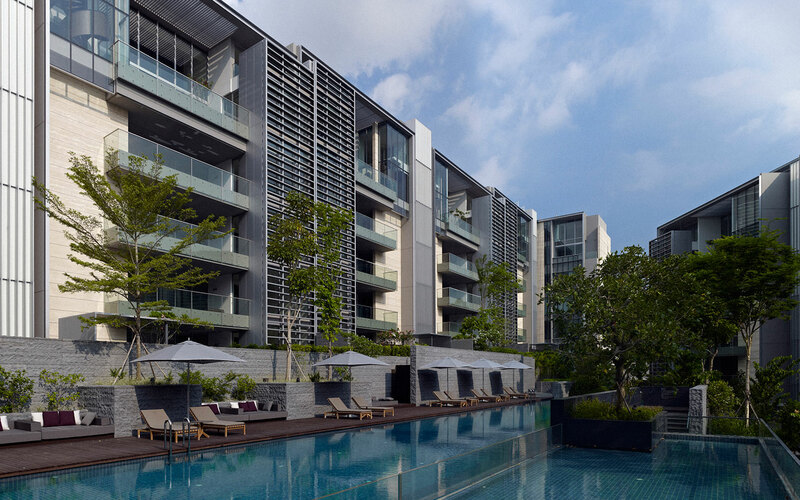 UOL is especially well-regarded in Singapore for their residential developments. Amongst the many they have built are Newton Suites, Duchess Residences, Nassim Park Residences, One Amber, Principal Garden, Waterbank @ Dakota, Terrene @ Bukit Timah, Seventy St Patricks, and Meadows @ Pierce. More recent launches are Tre Ver designed by WOHA, and Amber 45. UIC homes is a fully-owned subsidiary of UIC. UIC was established as a private company in Singapore in 1963, and subsequently listed on the SGX in 1969. Its main business focus is in property investment and development, including residential projects in central and suburban areas. With the acquisition in 1990 of Singapore Land Limited, the Group became one of Singapore’s largest property players with a portfolio of around 1 million square feet of retail space and 2.5 million square feet of office space. Some of these are well known commercial landmarks such as SGX Centre, Marina Square, Singapore Land Tower, The Gateway, Clifford Centre, Tampines Plaza and ABACUS Plaza, and West Mall. UIC also owns overseas investment real estate in places like London and major cities of China. Kheng Leong started operations in 1949 as an international commodity and trading company, but evolved into real estate investment and property development. Over the years since then, the Group has earned a reputation for quality work. Today, Kheng Leong is responsible for a number of development projects both locally and internationally. Some are collaborations and others are direct investments across the Asia Pacific region, from Singapore to Hong Kong and Shanghai, and top-tier cities such as Sydney, London and Los Angeles. 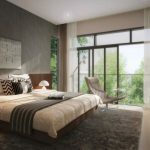 Local developments by Kheng Leong, some jointly with UOL include 72 Grange Road, The Ansley, Tudor Ten, Nassim Park Residences, Sutton Place, Domain 21, Principal Garden, The Minton, One North Residences, and The Woods cluster homes. Location. The Avenue South Residence location is at Silat Avenue, in the Kampong Bahru residential area on the fringe of the CBD. It sits between Bukit Merah and Spottiswoode Park estate, close to the Tanjong Pagar area. The site also lies just south of the 43-hectare Singapore General Hospital and medical hub, and is in fact within a short walk of it. Which makes it ideal for medical staff and healthcare professionals working at the complex, whether as owner occupiers or as tenants. Shops, F&B, Supermarkets, Banks. The nearest major shopping and dining areas are at the Tanjong Pagar area, or the Chinatown / Peoples Park locations. Alternatively you could make your way south down Kampong Bahru Road to Vivocity and Harbourfront. In future, once the Greater Southern Waterfront is built, there will be wealth of work, dining, shopping, and lifestyle destinations nearer at hand. But that won’t be for some time to come. Schools & Educational Institutions. Primary schools within a 1 km radius include CHIJ Kellock (within walking distance) and Zhangde Primary. While Alexandra Primary is inside the 2 km radius. Recreation & Relaxation. 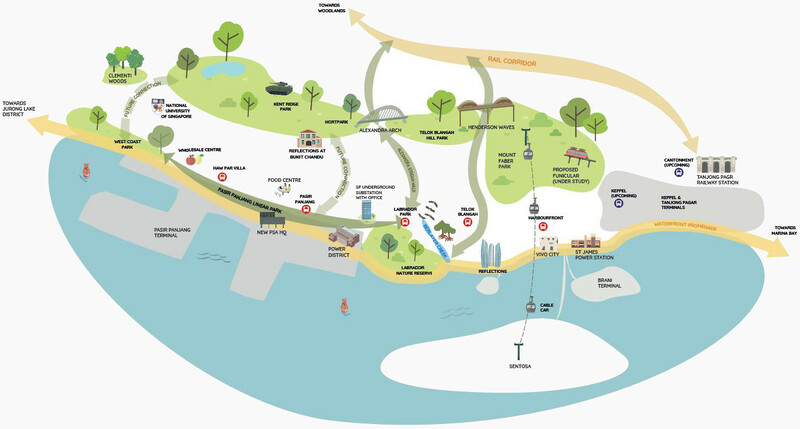 Less than 1 km from the South Avenue Residence location, down Kampong Bahru Road, is Mount Faber Park. This is part of the Southern Ridges Green Belt, a string of parks and nature reserves stretching across to Telok Blangah Hill Park, Hortpark and Kent Ridge Park. And on the doorstep of the South Avenue condo location itself, we have the Rail Corridor, a seamless leisure corridor & community space that starts at the former Tanjong Pagar Railway Station, a future multi-functional community hub. It then runs up to the north of Singapore, passing through recreational nodes such as parks, and the Round Island Route and Coast to Coast Trail. Nearest MRT Station. If there is one thing that the Avenue South condo location lacks, it is an MRT station within easy walking distance. The nearest stations currently are at Outram or Harbourfront, but both are a fair distance away. However there are bus services that ply close by. When the Keppel and Cantonment stations that will help complete the Circle line are ready, it might be possible to walk to these stations within 10 minutes if a short-cut can be found. But that is for the future. The Circle line has the advantage of directly linking to every other line. Out of its 33 stations, 12 are interchange nodes. Accessibility. The Avenue South Residences location is roughly 2 km from Tanjong Pagar, which makes for quick access to the Central Business District and downtown. Which makes it a good alternative if you are looking for a cheaper option than the $2,600 PSF homes in the downtown area itself. For island-wide travel, it is under 5 minutes drive to the nearest CTE (Central Expressway) exit.